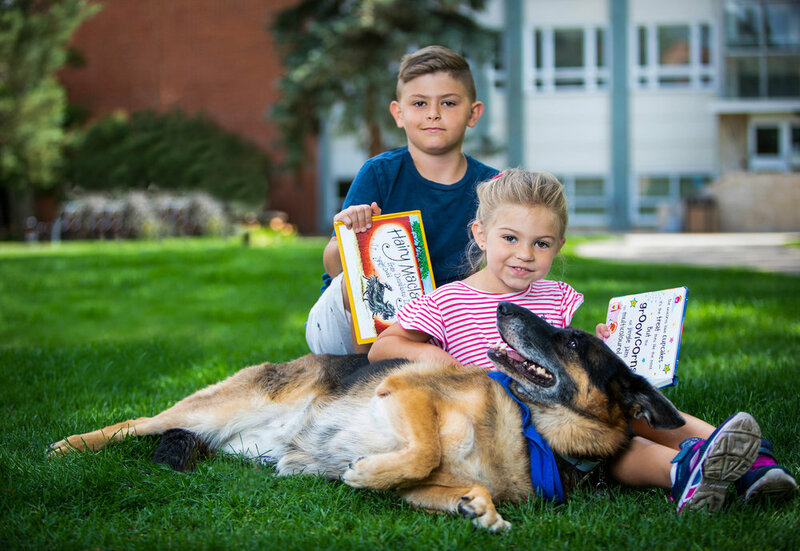 CAAWLS is privileged to work with many schools in and around Edmonton to provide Animal Assisted Education (AAE) and Animal Assisted Activity (AAA) programs. Some of these programs focus on improving literacy, others focus on stress relief in highly competitive academic classes, while others are simply mental health awareness programs. Most of our school programs consist of the same human-animal teams visiting on a weekly basis, and working with a teacher or counselor to meet specific goals with a small set of selected students. But CAAWLS is always open to new program ideas! If you are an education professional interested in setting up a program at your school, please contact coordinator@caawls.org!